*Percent Daily, Values are based on a 2,000 calorie diet. 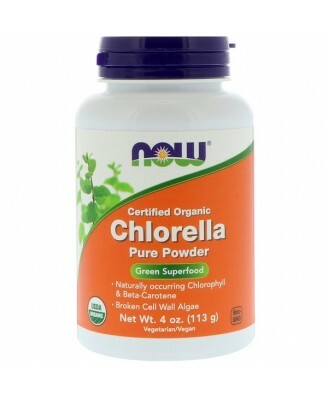 Other Ingredients Organic chlorella (broken cell wall).Not manufactured with yeast, wheat, gluten, soy, milk, egg, fish, shellfish or tree nut ingredients. Produced in a GMP facility that processes other ingredients containing these allergens. 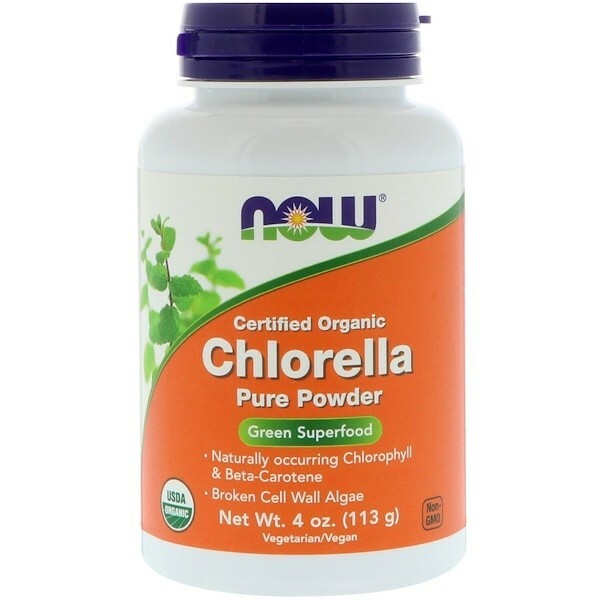 NOW Chlorella delivers the natural nutrient profile found in Genuine Whole Foods.Chlorella is a green single-celled microalgae that has naturally occurring chlorophyll, plus beta-carotene, mixed carotenoids, vitamin C, iron and protein. 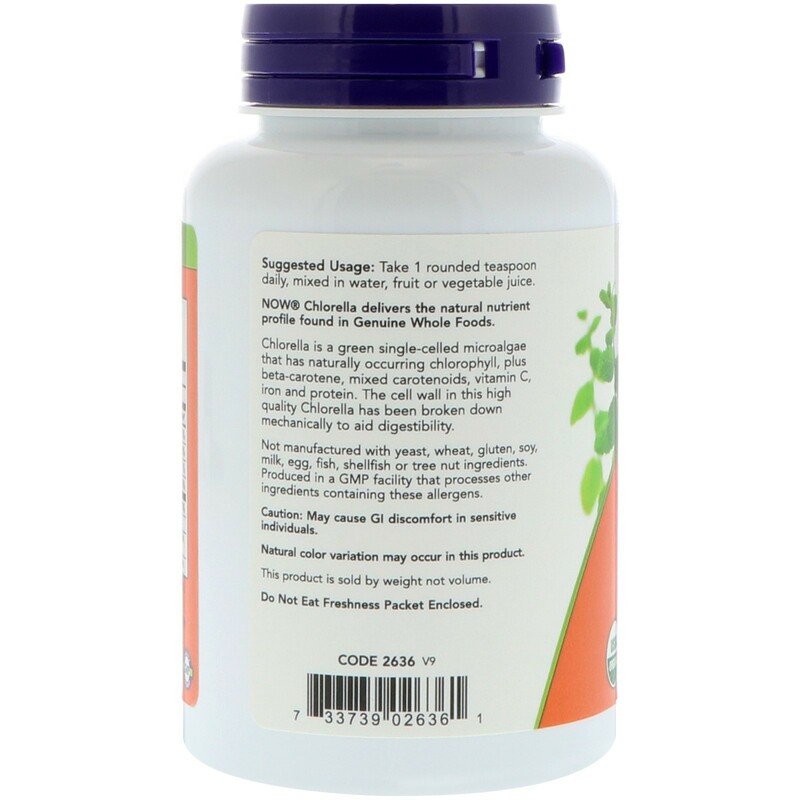 Take 1 rounded teaspoon daily, mixed in water, fruit or vegetable juice. Caution: May cause GI discomfort in sensitive individuals. Natural color variation may occur in this product. This product is sold by weight not volume. Store in a cool, dry place after opening.